The 5 talk workshop series presents information that we’d love everyone to know, because we know it can help so much with the treatment and management of illness and disease. More than that, it can be used to maintain and experience true health and vitality on a daily basis. How does the Body function? Why do we get Illness & Disease? You don’t have to have a degree in Rocket Science to understand the basic functions of the human body and to use this information to your advantage. This series of workshops were created from an impulse to share simple information in a practical and joyful way. The workshops present information that I’d love everyone to know, because I know it can help so much with the treatment and management of illness and disease. More than that, it can be used to maintain and experience true health and vitality as a way of life on a daily basis. Although the human body is a miracle of nature, how it works is not complicated and how we need to treat the body in order to enjoy health and vitality is simple. Currently, a lot of information exists that actually does not support and nourish the body, or create true health and well being. Unfortunately, we tend to make choices based on partial or wrong information and wonder why we are not truly well. They say that information is power, and so I hope that these talks will help to empower you to make loving choices for yourself. I care about my own health and from that foundation, I care about the health of others. The care that I have and live in my own life is supported by many years of clinical and scientific experience. How does the Body function? Why do we get Illness & Disease? How can we use this knowledge to maintain or achieve Health, Vitality & Well-Being or support us with any health related issue? We will also look at the increase in Illness & Disease in the last 30 years from a scientific, medical, genetic and epigenetic perspective. Our body has requirements that, if met, create a physical environment in which joy, vitality and health can flourish. Choice is our right and is always respected. 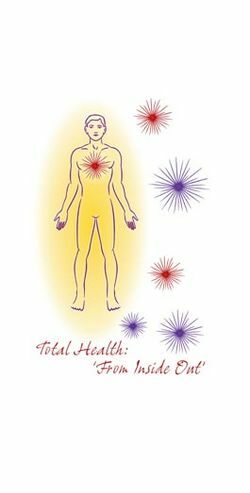 This talk presents a way of considering health and well being and provides information that supports self loving choices. You don’t have to be a rocket scientist to understand the human body and psychology. It is actually really simple and we can use this information to our advantage. This workshop was created from an impulse to share simple information in a practical and joyful way. This workshop presents information that we can all know and would help so much with the treatment and management of psychological and emotional illness and dis-ease. More than that, it can be used to maintain and experience true mental health and physical vitality on a daily basis. Although the human body is a miracle of nature, how it works is not complicated and how we need to treat the body in order to enjoy health and vitality, including emotional and psychological well-being is simple. Currently, a lot of information exists that actually does not support us to experience true mental health and psychological well-being. Unfortunately, we tend to make choices based on partial or wrong information and wonder why we are not truly well. They say that information is power, and so we hope that these talks will give another perspective or approach for you to choose from in how you view your psychological and emotional health. We care about our own health and well-being and from that foundation, we would like to share our experiences with others. The common sense style presentation, using many years of clinical and scientific experience, may stretch, challenge and broaden the current approach to mental health and well-being. Our body has requirements that, if met, create a physical environment in which joy, vitality and health can flourish. Cancer is the new epidemic of the modern age. Since 2014, Cancer is the number one cause of death in Australia and globally. Cancer is a word that comes loaded with fear and dread, and sadly, every day, hundreds of thousands of people are forced to face it. This is a serious disease but not necessarily a death sentence and many treatments are available. This talk will take an in depth look at Cancer in the human body. As with all the Total Health Talks, you don’t have to be Einstein, to understand the functions of the human body. This workshop has been created from an impulse to keep you up to date with this growing health concern. For anyone interested in learning about Cancer or may be at risk of developing Cancer, or who may have experienced Cancer or has a family member or loved one with Cancer, this workshop will provide you with the tools to understand Cancer and what can happen to the body, physically, physiologically and psychologically. The workshop is suitable for GP’s Nurses, psychologist and all health practitioners as well as the general public. Information is so crucial to our lives and especially in the prevention and management pre of illness and disease. We hope these talks will help to empower you in making loving and supportive choices. Looking at Cancer from Physical, Physiological and Psychological Perspectives. How do we treat Cancer? What environment does it need to grow? Is Cancer genetic – or actually epigenetic? Is Cancer a way of healing for the body? One of the Retreat locations has been specifically chosen to be held on the Gold Coast to provide you with an opportunity to enjoy a gorgeous beach side environment. For three days your health and vitality will be the absolute priority. The main theme of the retreat is Self-Care, Self-Nurturing and Self-Love with support and healing being a primary focus. Covering health topics such as your daily rhythms, deeply rest-full sleep, diet, nutrition, exercise, physical, emotional and psychological health - almost every aspect of health will be covered in some way. From this retreat you will have not only learned, but lived and experienced healthy living habits that you can incorporate into your own daily life. The health benefits for you are endless and a true investment in life long health. With only 8 to 10 participants, you can be assured that you will receive personalized and individual care. For seven days your health and vitality will be the absolute priority. Call us on 07 3345 1537, or 'Make an Enquiry' below, for more information about our workshop talks and retreats.